Some verbs take infinitives (verb + to do). The following verbs are usually followed by infinitives. Some verbs take an object and an infinitive e.g. The committee considers her to be the best applicant for the job. e.g. I heard an intruder enter the building last night. e.g. She prefers teaching adults. The verbs continue, begin, start and cease can be followed by either an infinitive or a gerund with little difference in meaning. It has started to rain/raining. The professor began to talk/talking. The verbs like, love, prefer and hate can take either an infinitive or a gerund with a slight difference of meaning. The verbs remember, regret, forget, try and stop take either an infinitive or a gerund, but this gives a different meaning. 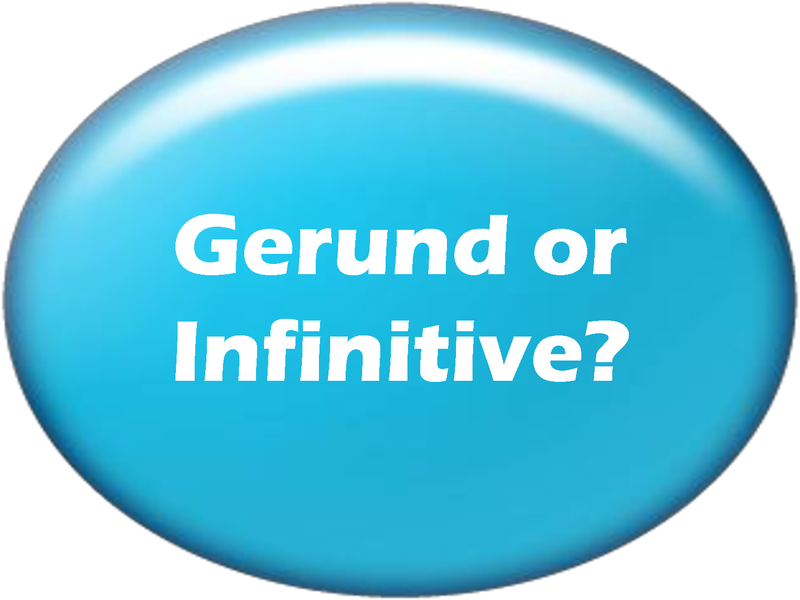 Some verbs are followed by an infinitive, some are followed by an object and an infinitive or bare infinitive and others are followed by a gerund. Put the following verbs into the right group. Complete the sentences below with the correct forms of infinitive or –ing form.